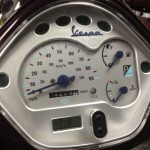 The 2007 Vespa Gran Turismo GT 200 in Plum is powered by a sporty and reliable 198cc L.E.A.D.E.R. 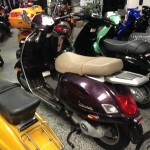 series liquid-cooled 4-valve Piaggio engine. The powerplant delivers excellent performance and power (19 bhp) that is far smoother and more progressive than the competition and has the reliability we’ve come to expect in 4-strokes, top speed is about 73+ mph. 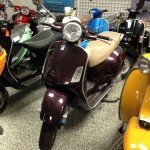 With only 4,222 miles will you put the next 5k on this scoot?